Can Money Really Reflect The Value Of College Majors? Starting a college education is an exciting decision that can enrich your life for decades into the future. There are many ways to look at the value of a college education, including money and personal growth. If you are concerned about the years of effort and expenses required to obtain a post-secondary education, give yourself the benefit of reviewing the value of advanced study. For students who are interested in maximizing their income, engineering is an excellent choice. Engineering majors tend to earn more than many other graduates. In fact, some specialized engineers (e.g. petroleum) have earned +$90,000 salaries upon graduation according to a Wall Street Journal report. For those who enjoy the precision of science, math and engineering, there are many wonderful ways to make an excellent income and make the world a better place. According to The Hamilton Project, engineering majors tend to earn over $2 million over the course of their careers. In contrast, English Language and Literature majors tend to earn $1 million over the course of their working career. Unemployment is an unpleasant experience by any measure. Not only do you have the prospect of lost income, but you also have to contend with the unpredictable job search process. The unemployment rate for college graduates in the US peaked at about 4% in 2010 according to a Business Insider report. Avoiding the anxiety and discomfort of unemployment is a significant benefit! According to Robert L. Leahy, director of the American Institute for Cognitive Therapy, “Research suggests that being unemployed doubles a person’s chance of a major depressive episode and that unemployment is also highly associated with domestic violence and alcohol abuse.” (source: Unemployment takes tough mental toll, CNN). 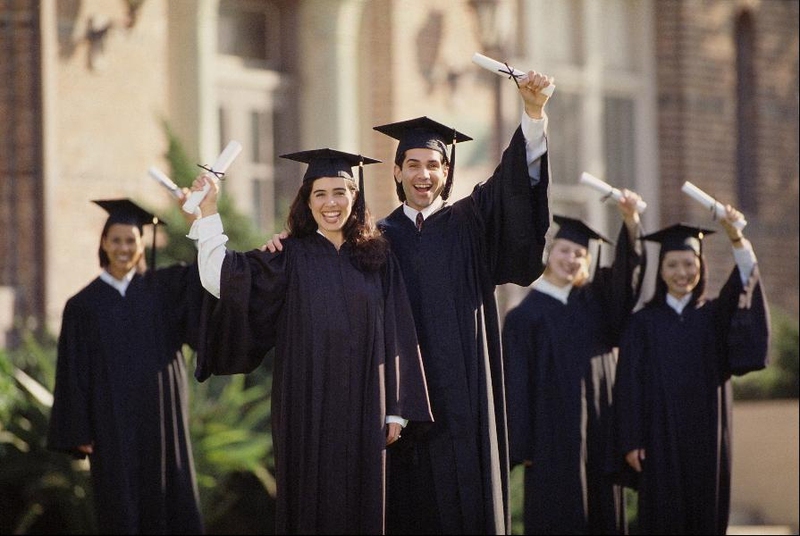 Earning a six figure income is one of the rewards available to college graduates. For example, most project managers with six figure salaries have a four year degree. Other highly paid careers such as medicine, law and engineering also require a college education. While there are significant numbers of people earning high incomes without a college degree, it is a much more difficult to earn a high income. For many fields of study- including the liberal arts and social sciences – you gain a much deeper understanding of the world. My university studies focused on history and it enhances every aspect of my life. Whether I’m seeking to understand the latest revolution, the economic forces that influence our choices or the impact that leaders have, history has enriched my life deeply. My knowledge of history also enhances my enjoyment of travel and ability to understand different countries. If you are studying the social sciences, humanities or another field that prompts your friends and family to ask “what are you going to do with that?”, don’t worry. Smart motivated people who understand the world usually find good opportunities. Improving the quality of your thinking and reasoning skills is one of the greatest benefits you receive in college. In writing an essay, you acquire the habit of evaluating evidence and contributing your perspective. In a science class, you learn how to collect and organize data and other tools of the scientific method. These skills protect you from being taken in by people who play fast and loose with the facts. Developing effective critical thinking skills is a life long activity, get started now with 9 Ways to Train Your Mind to Think Critically. The freedom to vote and participate in politics is a great responsibility. The broad perspective you earn from college studies – especially those in the liberal arts and social sciences – make you into a better citizen. Richard Sigurdson, former Acting Dean of Arts at The University College of the Cariboo, emphasizes the broad social and personal benefits of studying the liberal arts in his essay Why Study Liberal Arts? A liberal arts education will enhance your knowledge and improve your understanding of the world and its people. Many say that knowledge leads to wise action, perhaps even to goodness. Thus, an Arts education may help you to perceive and to understand your shortcomings, allowing you to become a better citizen, friend, spouse, parent, human being. Arts courses often enable students to reach beyond their own experiences and imagine worlds far distant in time and space. By opening your eyes, ears and mind, a good Arts education can strengthen in you the virtues of tolerance, sympathy, and respect for others. On average, earning a four year college degree significantly increases your income over the course of your life. This finding has been proven again and again by numerous researchers. Additional higher education tends to result in higher incomes.